← Boisset Retreat 2016 – C’est Manifique! My first stop was to the Carol Shelton Winery. I was too early, but Debbie was gracious to open up the tasting room and tell me all about Carol and her wines. The tasting room is small, but the walls are full of awards! I loved the Rhône varietals she uses- especially her Viognier- delicious! I bought a late harvest Zinfandel for my husband and a bottle of her rosé made from the Carignan grape- so,so tasty. I am a rosé fanatic, so this was a definite winner in my book. From Carol Shelton I continued north towards J Winery. What a tranquil environment. The tasting room is spacious, open, and well staffed. The sparkling wines and the Pinot Noirs were my favorites… they were wonderful. I found another rosé of Pinot Gris that was also well balanced, light, and refreshing. After a delightful chat with the other visiting guests and tasting room staff, I headed even further north. I decided to have a look/taste at Ferrari-Carano…gorgeous landscape around a “Villa”, surrounded by water basins, flowers, and rolling green lawns. It was so beautiful! I made a purchase here, again for my sweet wine loving husband, of their late harvest Zinfandel which I was told is barrel aged with dark chocolate! The aroma of rich dark chocolate was profound…it was amazing. Leaving here was hard, the beauty is incredible, but I was “thirsty” for more knowledge. Sbragia, located in Dry Creek Valley near Geyserville, sounded interesting. “A great view” was what I was told and it was true. The winery is high enough that it overlooks a huge area of vineyards, fields…very peaceful. Cabernets, Chardonnays and Zinfandels were plentiful and delicious. I had been “spitting” and “dumping”, trying to be ever so professional, but I was really getting hungry and wanted to take a break, so I turned back south a bit and drove into Healdsburg. I loved this quaint little town! I decided to head to the Bear Republic for a burger and a beer. I sat on the sunny terrace, soaking up the sunshine and devouring my lunch. Not normally a huge beer drinker, I was quite pleased with the refreshing light beer I chose. A 20 minute stroll around the main square and then on to more tastings. Selby Winery was my first top. Located just off the town square in Healdsburg, this tiny tasting room was big in awesomeness! Susie Selby, owner and winemaker, was our tasting room lead! I love it when I can pick winemaker’s brains!!!! My only disappointment was her rosé wasn’t bottled yet! I will definitely have to look for her wines next time I am out in Sonoma. Last, but not least, one last stop in town before returning to my hotel in Santa Rosa. 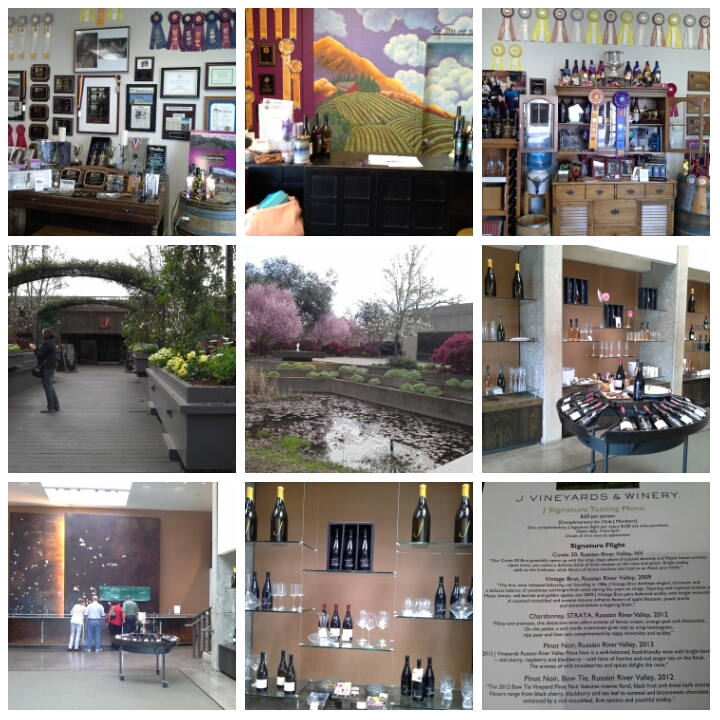 Windsor Vineyards, another tasting room found right off the square, was a sure to be winner…they make sparkling!!!! I chose the sparkling flight and was in bubble heaven! I couldn’t decide which I loved more, but the rosé was simply lovely. I know, what’s with the rosés and bubbles you ask…they are my prefect wines, my “wish I could drink these every day” wines. I usually have at least 1 bottle of each chilled and ready for any and all occasions. This was such a different tasting tour from my last trip, where the majority of the wines were big Cabernets, oaky Chardonnays, and red blends. I wish I had had a few more Pinot Noirs, but there is always next year. This truly was a “Tasteful Adventure”!!! 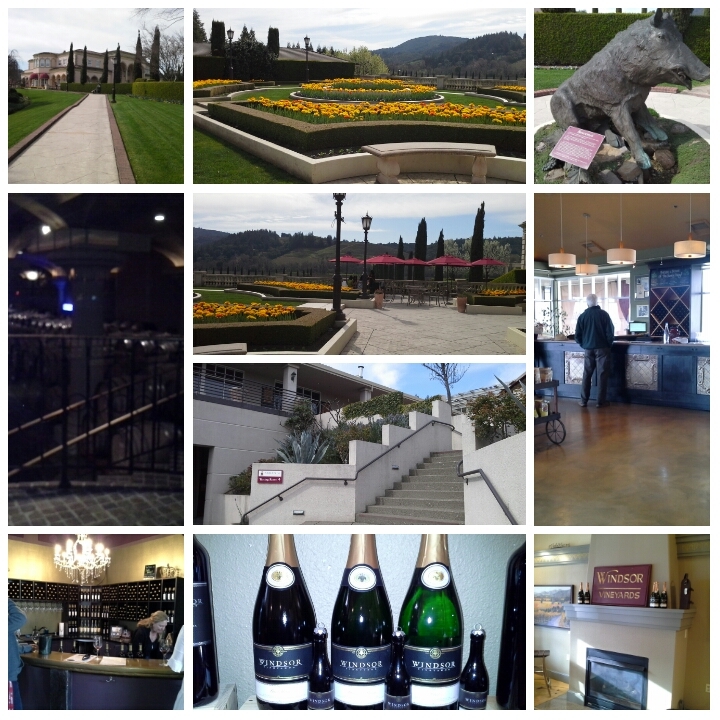 This entry was posted in #Tasetful Adventures, #Travel, #Wine, Wine Education and tagged #Carol Shelton, #Dry Creek Valley, #Ferrari-Carano, #Healdsburg, #J Winery, #Russian River Valley, #Sbragia, #Selby, #Sonoma, #Windsor Vineyards. Bookmark the permalink. The J Pinot was my favorite for many years! This sounds amazing! It was a fantastic tasting experience.